Jonathan Twidle, who was head of Willow Fields Community Primary School, in Sunderland, has been barred from the teaching profession for life. A headteacher who frittered away vital school funds on adult entertainment, booze and dog food has been branded “dishonest” and banned from the profession for life. Jonathan Twidle’s “serious financial mismanagement” stretched to using expense accounts to pay for hotels, restaurants, petrol and travel fares. A disciplinary panel also found that he used school cheques or credit cards to pay for private childcare for his child. The Teaching Regulation Agency has now barred the former Sunderland head from teaching indefinitely after a three-day hearing. Rubberstamping the ban, the Department for Education (DfE) also ruled that it cannot be reviewed owing to the “dishonesty found, the lack of integrity found and the lack of full insight or remorse”. Many of the allegations Twidle was found guilty of took place while he was in charge of Willow Fields Community Primary School, in Witherwack, from 2011 until 2016. They include incurring “unaccounted for” expenses for hotels, fuel, restaurants and travel fares. In addition, the panel’s damning report notes: “Mr Twidle admits that he used his school credit card for personal expenditure. The exact amount spent by Twidle, now 53, has not been revealed. In total, six counts of engaging in financial mismanagement were proved. A second set of allegations relating to his time at Willow Fields concerned failing to properly manage his wife or displaying favouritism towards her. They included questioning why she was taken on permanently when other staff recruited at the same time were given temporary contracts and that he failed to take action when she supposedly failed to write reports. Both these allegations, and five others, were found unproven. He was, however, found guilty of funding their child’s private health care and of a second count of permitting his wife, who was not named in the report, to be absent from school while they visited their child’s new school together. The panel heard Twidle was suspended from the school in May 2016 “following concerns raised by members of staff relating to alleged financial mismanagement and nepotism”. He resigned four months later after an inquiry by Sunderland City Council. The panel also investigated a separate set of allegations relating to his earlier headship at Crooksbarn Primary School, in Stockton, between 2000-09. The £951 telephone bill, including other private calls, was reimbursed after an investigation and he resigned in May 2009. He was found guilty by the panel of two counts of inappropriate use of a Blackberry mobile phone and of an allegation that his misbehaviour overall was lacking in integrity at both schools and dishonest at Willow Fields. With the panel's recommendations now upheld by the DfE, Twidle’s only right of appeal is to the High Court within the next month. 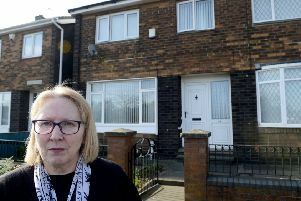 Jill Colbert, chief executive of Together for Children, which runs children’s services in Sunderland on behalf of the council, said: “In this case children’s services took the necessary steps to investigate financial irregularities at Willow Fields Primary School in Sunderland. “It is right that unacceptable professional conduct be challenged in order to maintain public trust.